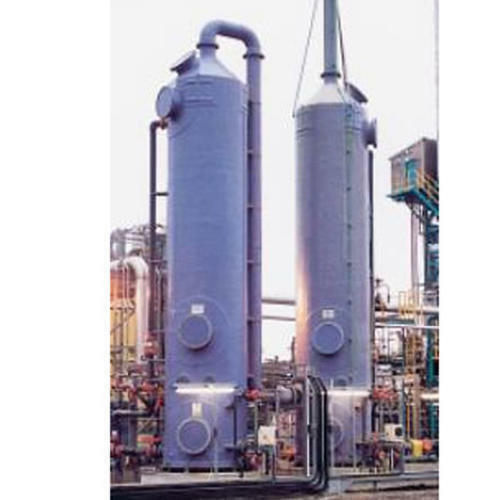 We are Leading Manufacturer And Supplier in Gas Scrubbers.Our range of scrubbers can also handle highly corrosive chemicals. Scrubbers that we offer form an integral part of many industries as it helps in protecting the environment form pollutants. Incepted in the year 2001, at Thane (Maharashtra, India), we, Airtech Blower Industries, are primary name in manufacturing, exporting and supplying a wide range of Pollution control Equipments such as Blowers, Dust Collectors, scrubbers etc. These equipments are available in different capacities & pressures, owing to which broadly demanded among clients. The sturdy construction and robust design of these products makes these suitable for hazardous & corrosive environment. Our range equipments are extensively admired by the clients. We are exporting our quality products in Sri Lanka and Dubai.